Gullett, B.K., Linak, W.P., Touati, A., Wasson, S.J., Gatica, S., King, C.J. 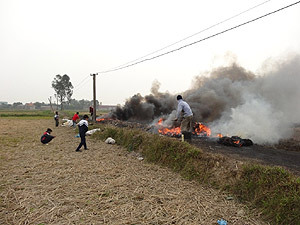 Characterization of air emissions and residual ash from open burning of electronic wastes during simulated rudimentary recycling operations. J. Mater. Cycles Waste 2007, 9, 69-79.